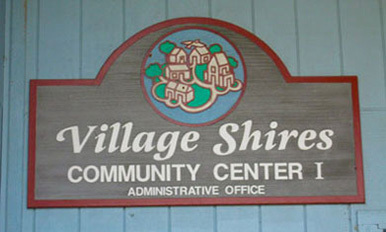 Village Shires is a community consisting of 1,593 homes. There are 185 single homes, 556 townhomes, and 852 condominiums (in seven different condominium associations). The community is on 335 acres in Northampton Township. It is located in the Council Rock School District. The amenities include swimming pools, tennis courts, basketball courts and tot lots. There is also a pond on the property. Add your email address to the Village Shires Community Association mailing list to receive updates and announcements from the community delivered to your inbox. © 2019 Village Shires Community Association. All Rights Reserved.